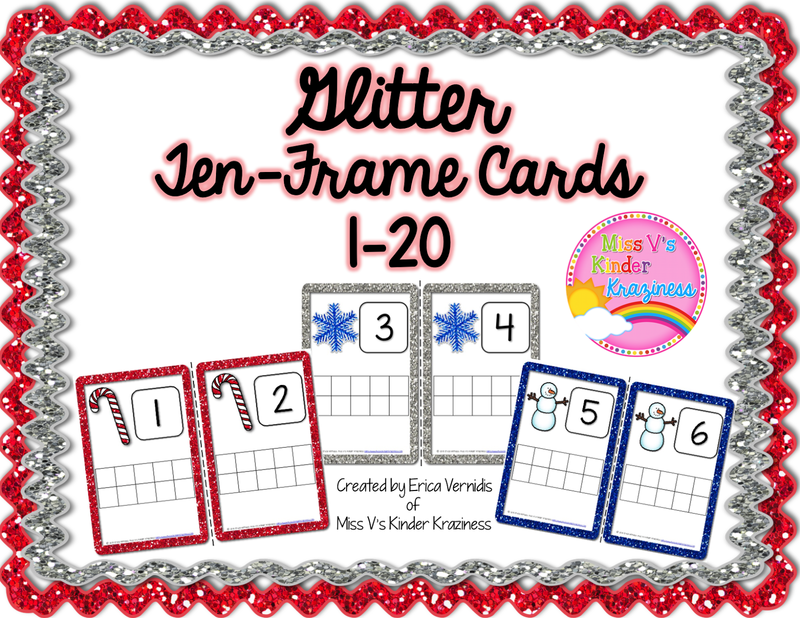 Unicorn Ten-Frame and Number Cards FREEBIE! 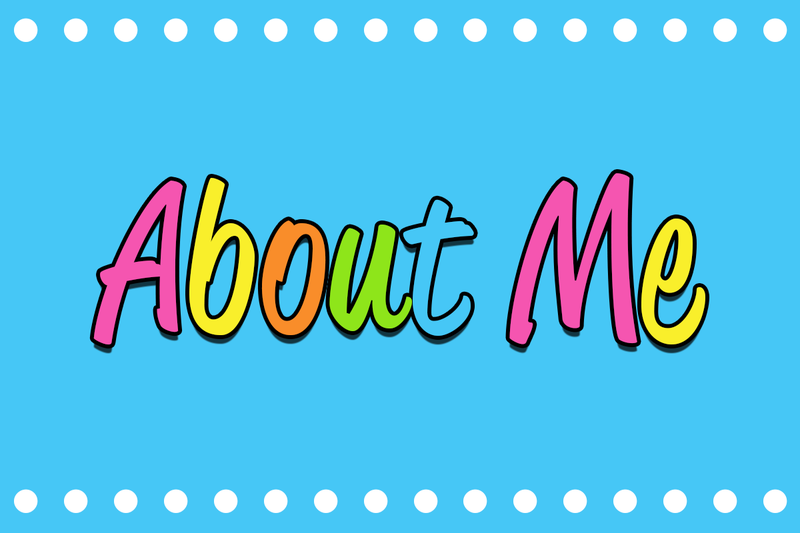 Who recently has been to Target and spent half, if not your entire paycheck there? 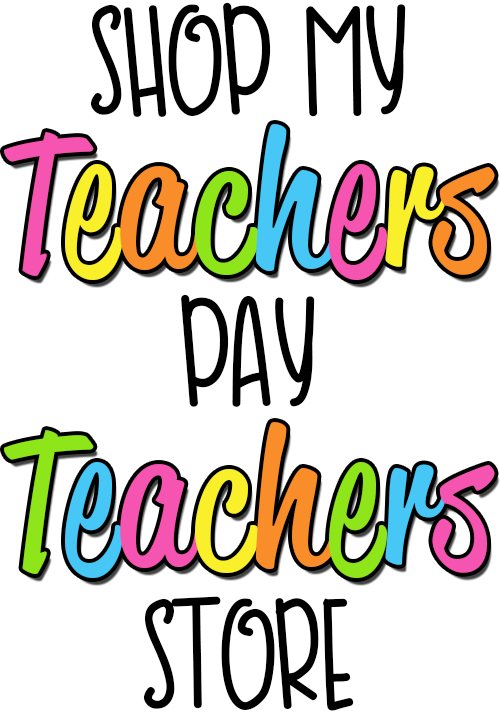 All my money is spent no less than 20 steps into the store, the black hole of a primary teachers paycheck: The Dollar Spot. No, I don't need 3 sets of every seasonal mini eraser in stock, BUT I'M GONNA BUY THEM! This month they had the most magical mini erasers of all time: UNICORNS! MY FAVORITE! 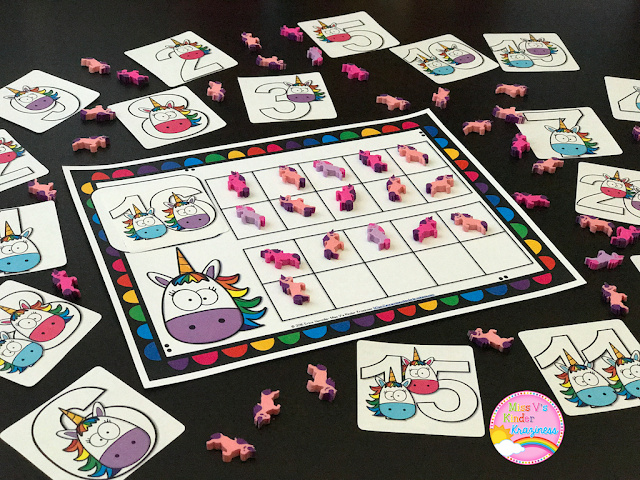 I scooped up about 3 (or maybe more) sets of 60 mini unicorn erasers and ran right home to create this fun math activity for my kinder kiddos. 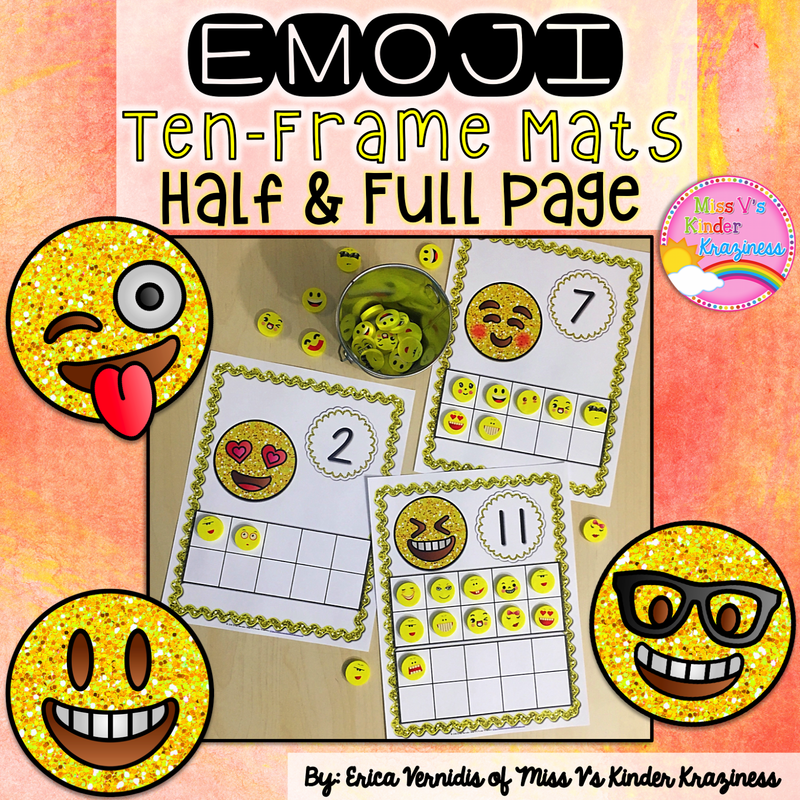 This math activity focuses on counting, number sense, and ten-frame practice. 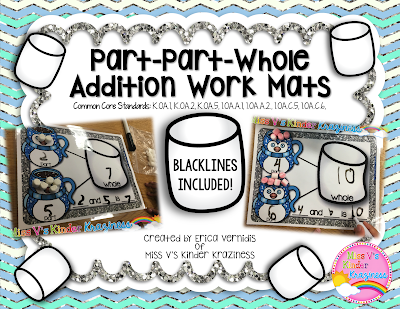 This resource is PERFECT for small group instruction or independent work. 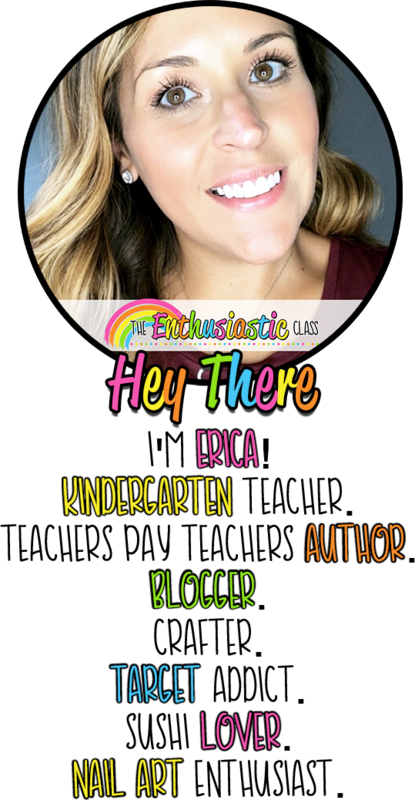 Easy peasy lemon squeezy math center! Run to the nearest Target and buy the mini unicorn erasers located in the Dollar Spot. Can’t find unicorn erasers? 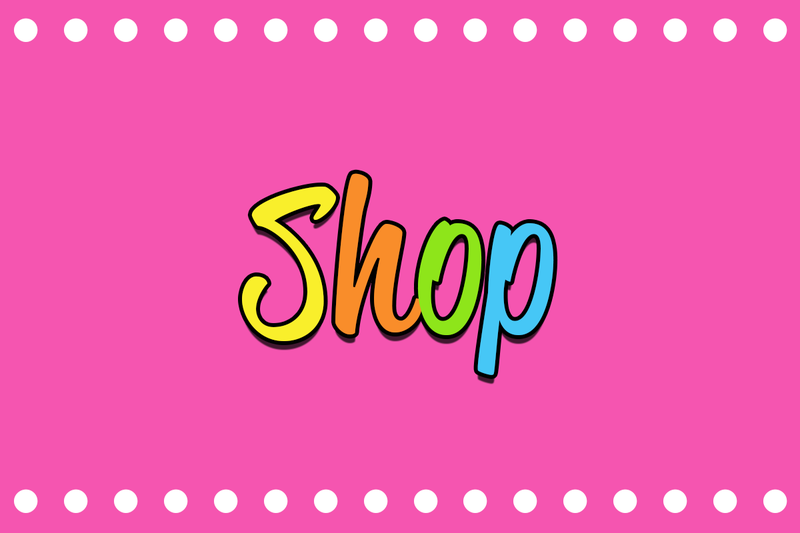 Use any mini erasers, craft gems, shiny pebbles, whatever your teacher heart desires to use an counting manipulatives! Print, laminate and cut out the unicorn number cards and ten frame mat. 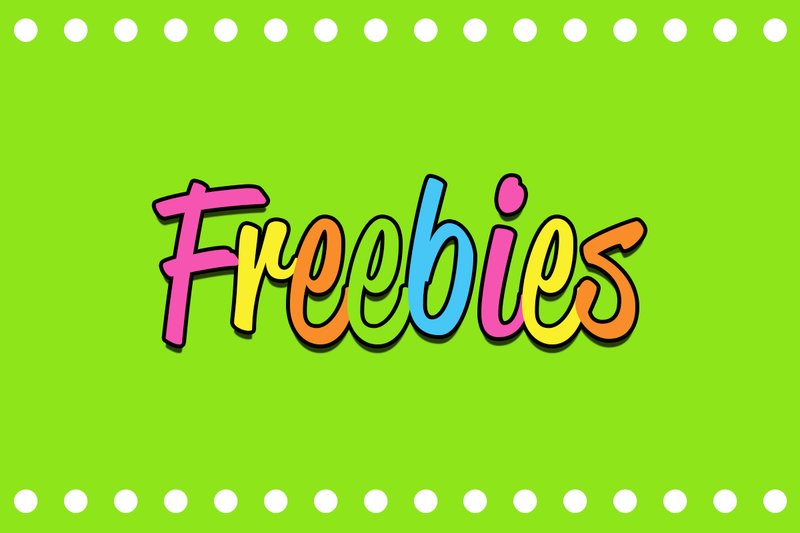 Print out as many copies as you need for your students. 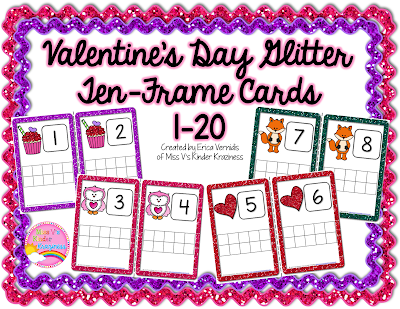 Students choose a number card and show that many on the ten-frame using the mini unicorn erasers. When students choose a number, ask them how many is one/two more or one/two less, then show that number on the ten-frame. 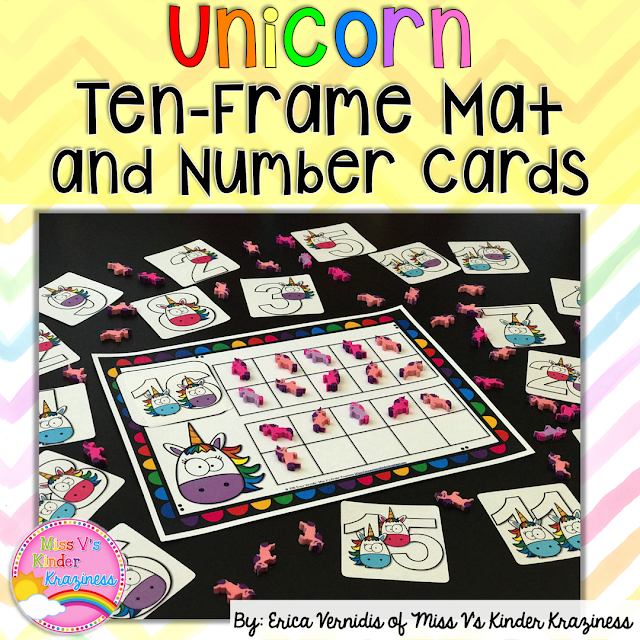 Have students roll a die and show that number on the ten-frames using the unicorn erasers. Don't want to buy mini erasers? Laminate the ten-frame mat and have students draw counters using a dry-erase marker or crayon. Click on the link to get you FREE Unicorn Ten-Frame Mat and Number Card Math Activity! 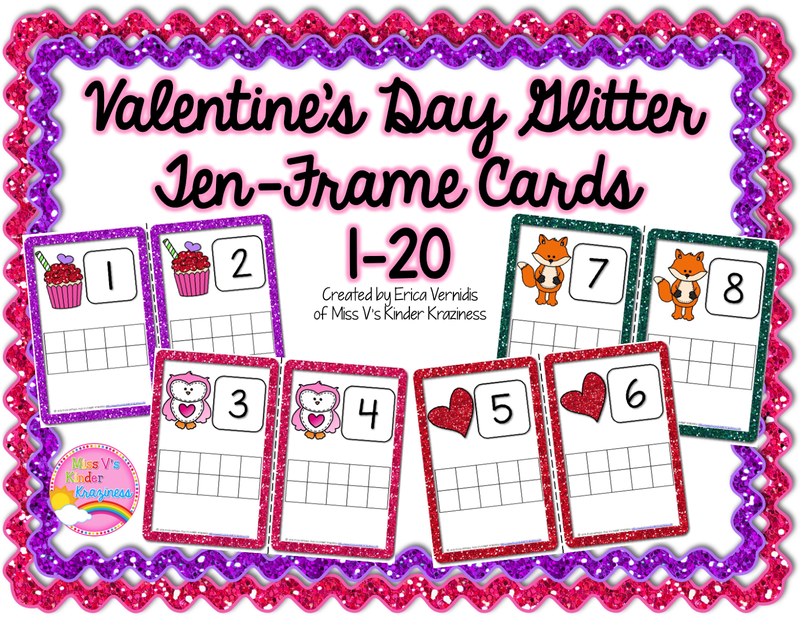 I also have other ten-frame activities for those millions of mini-erasers we probably have stored in our classroom supply closet. You know you have them, so now you have no reason not to use them! 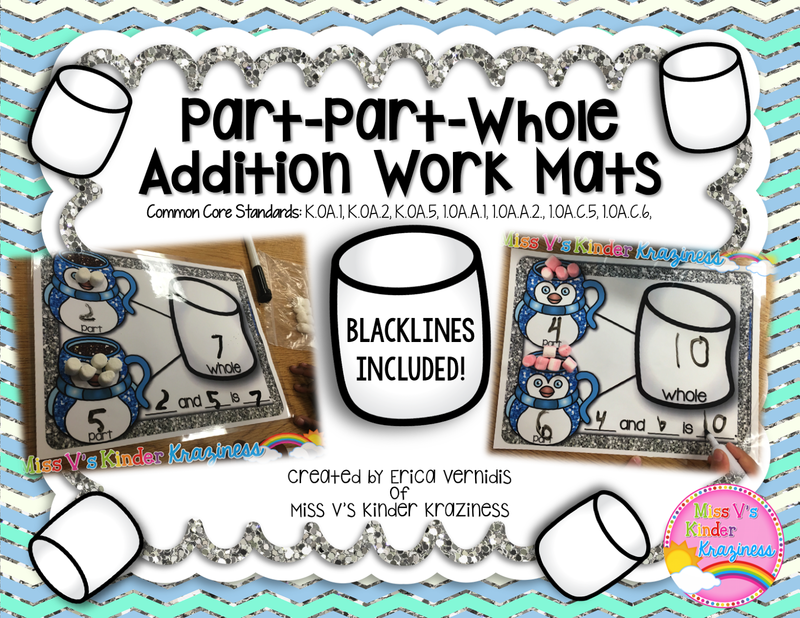 Check them out in my Teachers Pay Teachers Shop! Thanks for stopping by!